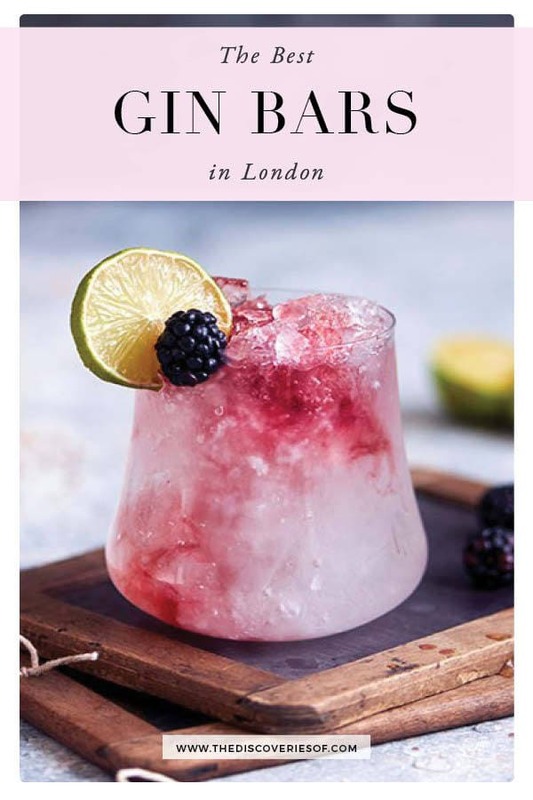 London’s love affair with gin is pretty well documented – from the heady Gin Craze of the 18th century to today’s happening gin scene. Looking for the perfect spot to quaff your G&T? Here are the best gin bars London has to offer. Gin, gin, ginned. Londoners (including me) can’t get enough of the stuff. Gin has formed the backbone of the city’s well established drinking scene for many a century – including the 21st. Of course, you can toddle off to your local boozer for a standard G&T – but sometimes, just sometimes nothing but something extraordinary will do. In those cases, these are the best gin bars in London that you need to hit up pronto. London has been in the throes of a rather spectactular gin revolution in the course of the past decade. Gin went from being the stuff naughty grandmas drank to get them through their retirement, to the tipple of choice for the young and fashionable. 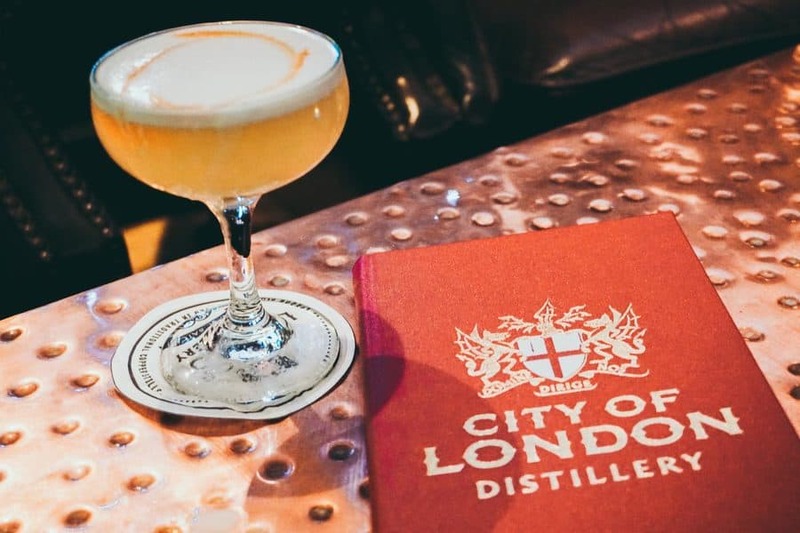 The City of London Distillery and Bar sat at the heart of that revolution. It was one of the first new gin distilleries in London in over 200 years when it opened in 2012. Since then, it’s gone from strength to strength, even taking out a double gold for three of their gins at this year’s San Francisco World Spirits Competition. The credentials are impressive, and so is the bar. 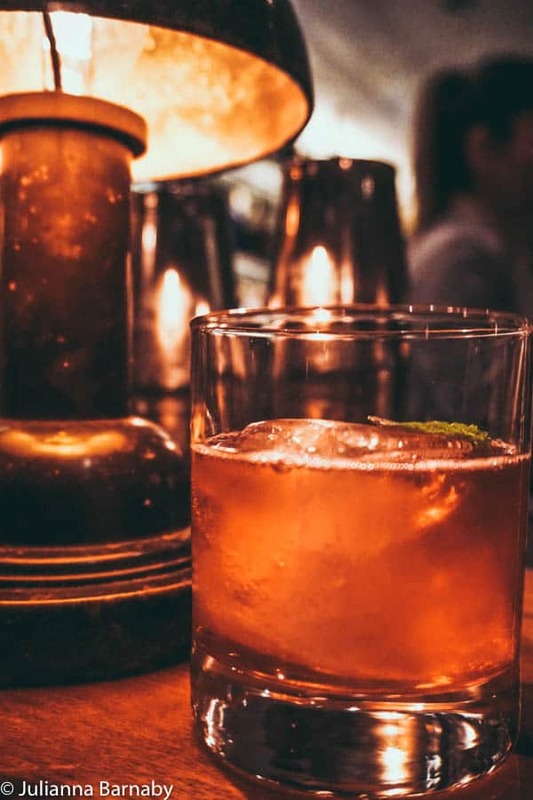 With a stylish speakeasy vibe, it’s the place to go to try out the distillery’s excellent gins. 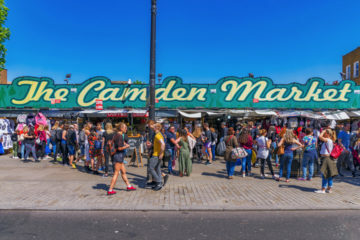 An outdoor street market and a London distillery is a match made in heaven – so it’s no wonder that the Little Bird Bar is one of the best gin bars in London. Little Bird is a local gin distillery, and during the weekend they serve up yummy cocktails in their cozy Maltby Street market location. There’s room inside as well as a couple of outdoor tables. Don’t worry if it’s a little chilly – they have blankets and hot water bottles to keep you cosy. 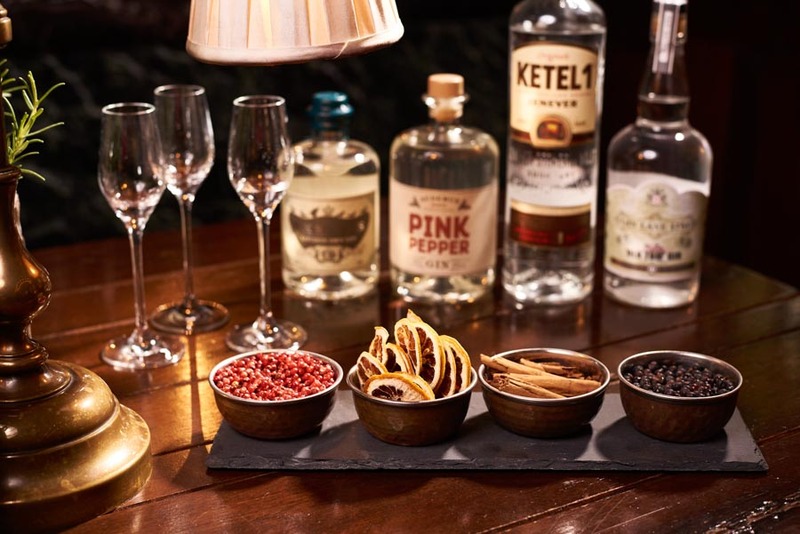 Why choose between your quintessential pub or London gin experience, when you can have both? At Four Thieves, you’ll find a traditional pub with a big difference – there are over 350 combinations of gin and tonic on the menu. Oh, there’s also a bunch of retro arcade games to enjoy along with your G&T. 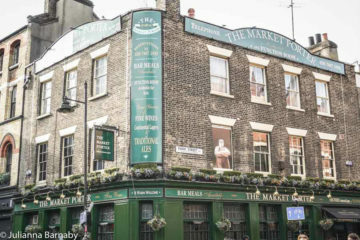 So, it’s your London pub experience – with a few unique twists. If you love your gin without the pretence, then 214 Bermondsey is the perfect gin bar in London Bridge. This cosy Bermondsey bar is the stuff of gin lovers’ dreams, with a mind-bending list that includes everything from micro-distilleries just down the road (such as Little Bird), to the big international labels like Hendrick’s. While the list is impressive, the bar is humble and welcoming. There’s even a “tiki bar” party on Sundays, which is always great fun. 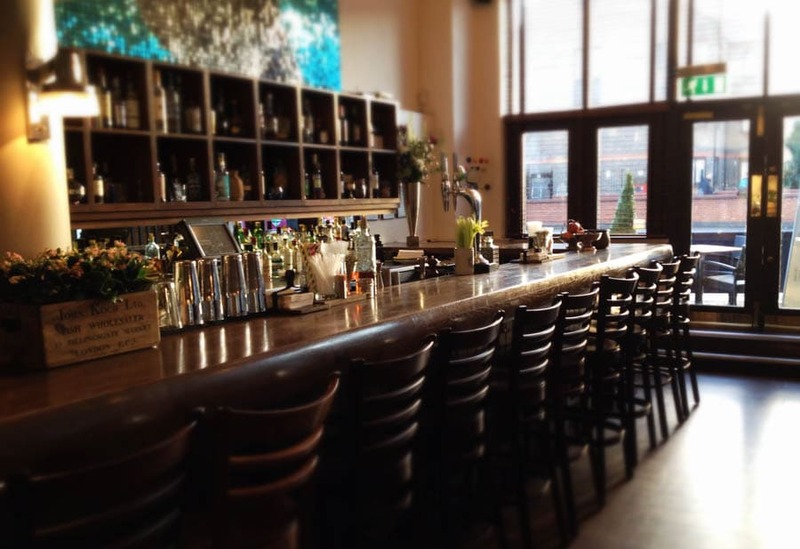 Another boutique gin producer with a wicked cool bar is the East London Liquor Company. They have a range of excellent spirits distilled in East London, including three gins. You can tour the distillery, or drop by their bar to try them. There’s a range of cocktails featuring their own spirits, but they also have a hand-selected range of imports. They even serve beer if gin just ain’t your thing. Fancy a delicious meal along with your gin? 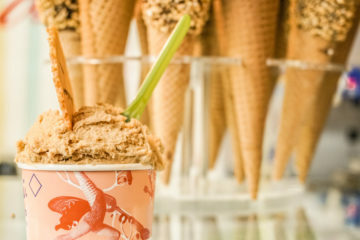 If so, head for this foodie favourite restaurant and gin bar in Greenwich. The Rivington Grill boasts a very impressive gin menu that’s sure to impress even the snobbiest of gin drinkers (it’s OK, there’s no shame in being a gin snob – the best of us are). It also has a full food menu with delicious options including steaks cooked to perfection. It’s perfect if you want to enjoy your gin over a hearty meal. What’s in a name? Well, with Mother’s Ruin, it’s a nod to the time when it was feared that gin was ruining London society – especially mothers! Luckily gin drinking is a bit less controversial nowadays (and the gin is a hell of a lot better) but Mother’s Ruin distillery remains true to traditional methods of making gin. Undoubtedly, the best place to try their fruity and fragrant gins is at their small and quirky bar. It’s an old cliche, but Graveney Gin really does blend old and new. Their small-batch gin uses traditional methods but with a modern view of emphasising organic and sustainable products. Perhaps best of all, 10% of the company’s profits go to gorilla conservation efforts worldwide. To taste their gin and feel good doing it, head over to their gin bar in London’s Tooting Market. It’s open every day except Mondays. I can think of few better clubs to join than one that’s devoted to the enjoyment of gin. If you agree, why not swing by the London Gin Club to check out what’s on offer at this gin bar in Soho? As expected, this cozy and laidback bar offers a great variety of gin. They also do tasting events which are ideal for novices and gin enthusiasts. Everyone is welcome, but you can sign up as a member (it’s free) for some great discounts. 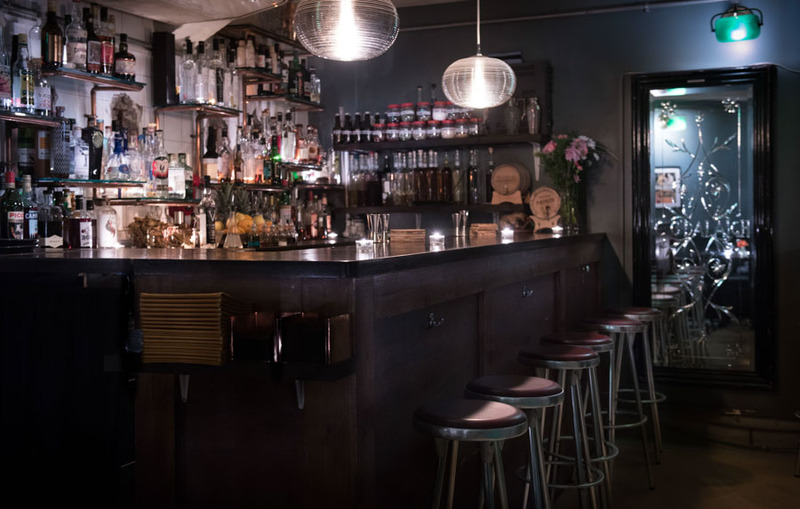 Pedler in Peckham Rye is a local favourite brunch spot, but it also happens to have a really great gin bar as well. If you’re looking to enjoy a tasty brunch as well as some exceptional gin-based cocktails (mostly using local distiller, Little Birdy’s gins) then definitely check out this gem. The light and airy venue gets pretty busy, so you might want to book ahead to avoid any disappointment. With unapologetically decadent decor and cuisine, the Holborn Dining Room is also the perfect place to sample some of the country’s best gin. 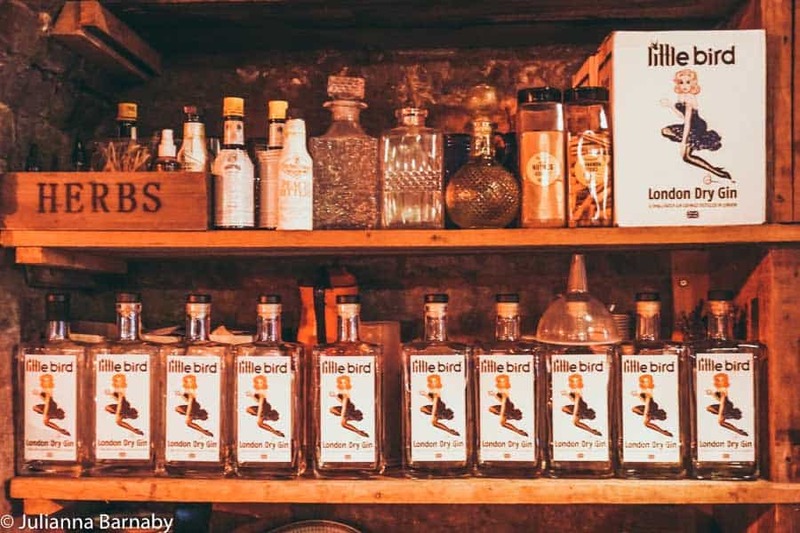 Choosing might be a problem – there’s 500 gins and 30 tonics. A mathematician will tell you that’s more than 14,000 combinations. Still not enough for you? There are also a few incredible cocktails – the ‘summer’s blush’ is a balanced, refreshing cocktail with just enough sweetness. The romantic ambience of Coburg in Mayfair goes perfectly with a glass of London’s best gin. Think flickering candles, dark hardwoods and lots of nooks and crannies for those low-voiced conversations. It’s open every day from 8am to 1am (midnight on Sundays), so whenever you fancy a tipple – it’s there. They also have an impressive food menu with options like tuna tartare and chicken satay. Of course, all hints of its former life have well and truly been replaced, leaving the Ladies & Gents bar as one of the best gin bars in London. They even have a “gin club” if you can rustle up nine friends to accompany you. The delectable cocktails were such a hit they now boast three locations: the original Camden Road loo, Kentish Town and Kings Cross. Charming Martello Hall is one of my favourite rooftop gin bars in London. 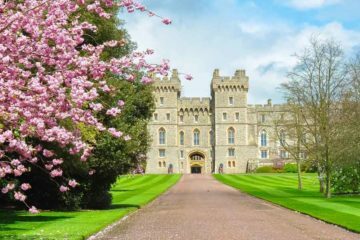 It has a cosy elegance, and a full calendar of events including Sunday jazz. Then, of course, there’s the exceptional gin that’s crafted in their own distillery. It’s so good you might even want to take some away with you. Not content with what’s on offer? You can even blend your own with their Gin Masterclass. It’s no wonder it’s developed a reputation as one of the best gin rooftop bars in London. This fabulous Spanish-inspired gin bar in London is almost as much about the way gin is served as the way that it’s made (almost). 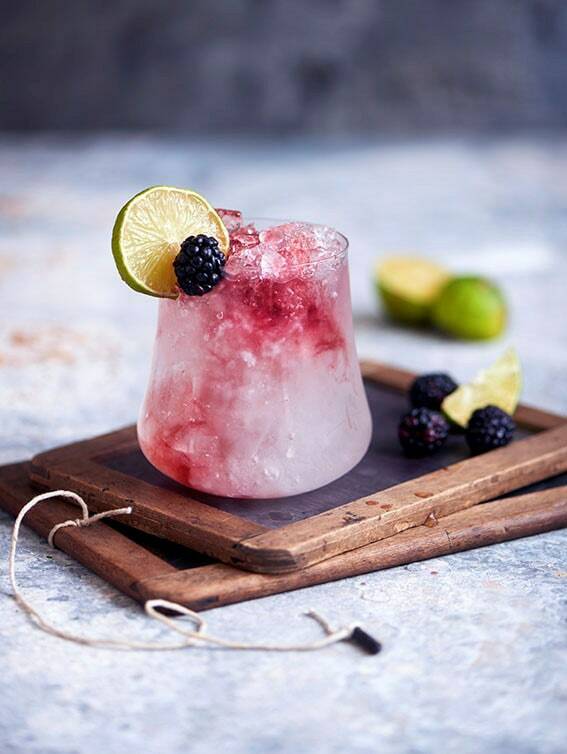 Borrowing an idea from the Spanish, Gintonica’s gins are served in large goblets which keep the drink cool and allow the fragrance and tastes to present at their best. Not convinced? Pick one of their 100 expertly crafted cocktails and see for yourself. With vaguely Prohibition-esque decor and a calendar of great events, The Gibson is a gin palace in London that is well worth travelling for. 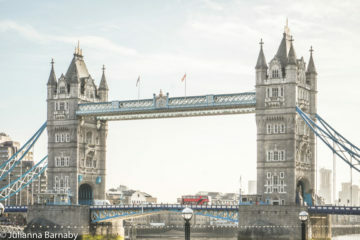 In particular, they’re serving up some of the best cocktails in London – high praise for a city that prides itself on its “mixology”! Of course, most of the best are gin-based – I particularly love their “Electric Earl”. Gin and tea? Why, yes sir – I can’t think of anything more British. For the ultimate “gin parlour in London” experience, I highly recommend the quirky Mr Fogg’s Gin Parlour – it’s one of the best gin bars in London and Covent Garden. This whimsical bar is part theatre, part gin bar, with eclectic artwork and Alice in Wonderland-esque decor. Then of course there’s the gin- with more than 150 varieties on offer, it’s certainly one of the best gin bars in Covent Garden. Spread out over two floors, the Merchant House is the kind of place you go when you’re looking to impress. Think rich mahogany and bartenders who call you ‘ma’am’ or ‘sir’. They focus mainly on gin and rum, although there are a few other choices. Gin enthusiasts may like to book into a tasting night, where you can flex your gin knowledge and learn more about London’s favourite tipple. If you prefer your gin as part of a martini (shaken or stirred) then you’d best make your way for the Library Bar at the Ned. 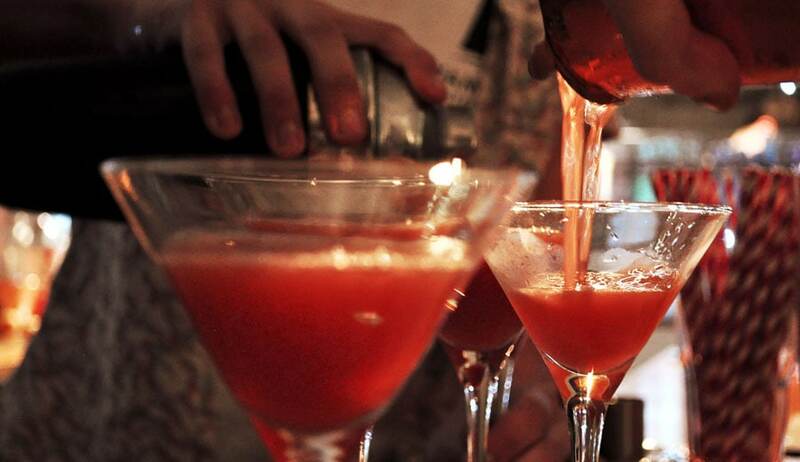 This chic bar prides itself on serving up the best martinis in the capital, and they are pretty darn good. There’s also plenty of champagne (you can always have both – you totally deserve it). Plus, there’s an undeniable charm about drinking a martini while surrounded by leather-bound books and rich hardwood furniture. You’ll feel like the Lord or Lady of the bar. Tonic is your classic accompaniment with gin, but not all tonics were created equal. The last thing you want is to ruin a great gin with a bad tonic. If in doubt, ask the bartender for a recommendation. It goes without saying but if you fancy visiting a few of the best gin bars in London, you certainly won’t be driving home. Plan out your Uber or tube ride in advance, so you can have a stress-free experience. Not sure where to start with gin? Many of these gin bars in London offer masterclasses and tasting sessions. This can help you to learn what distinguishes a gold-medal winning batch from a “bathtub gin”. Plus, it’s great fun. Click here for a map with the locations of the bars featured in this article.